Come visit my etsy store with its vast inventory of one product. Be a part of history and purchase my first item available to the public: the Eames tulip table. 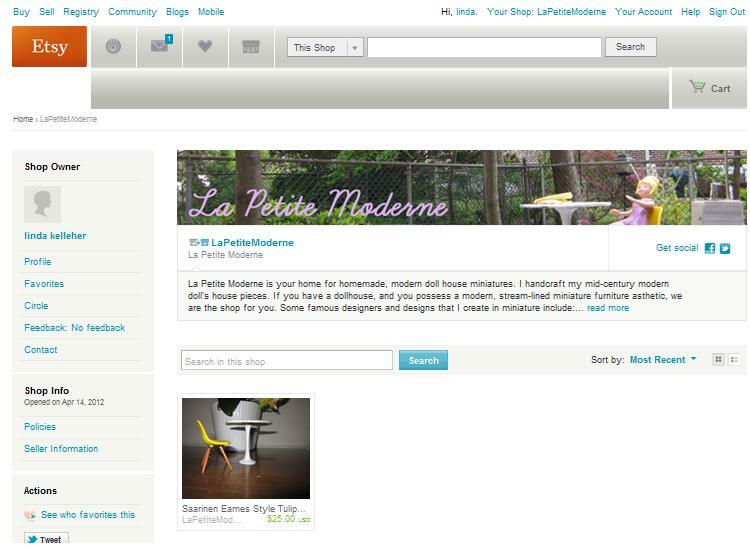 My shop link is http://www.etsy.com/shop/LaPetiteModerne. Who will start this business ball rolling? This item is sure to quadruple in value when the dollhouse museum is looking for prototypes and early models of the hugely successful La Petite Modern furniture collection. Don't say I didn't tell you so.